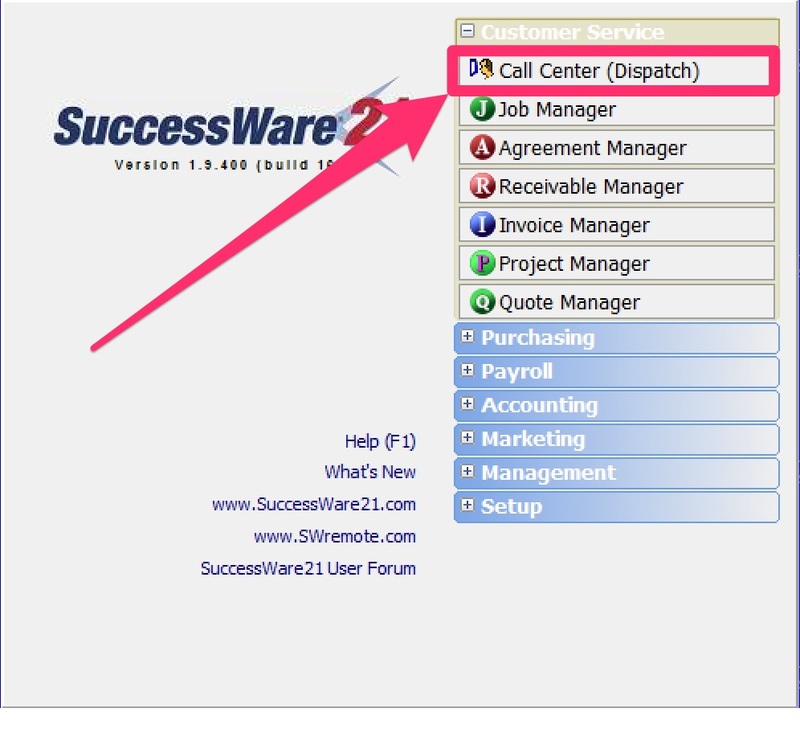 How do I view a captured signature in SuccessWare21? 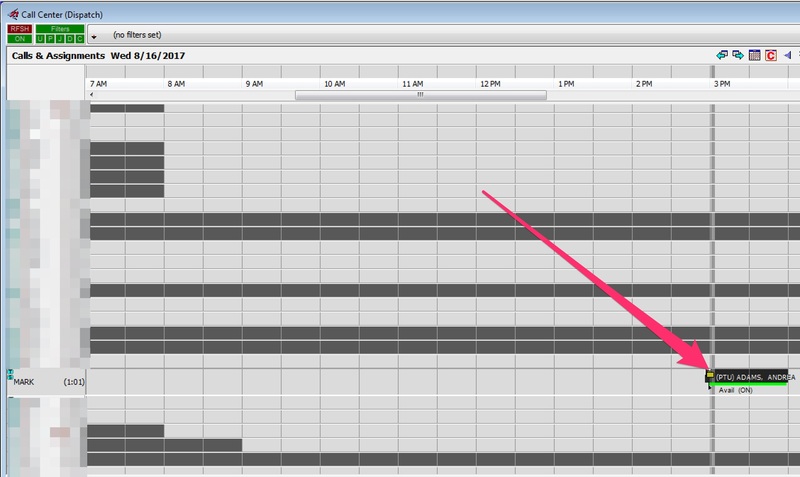 On the Dispatch Board, find the completed call and left-click it. Press F10 to access the Invoice. 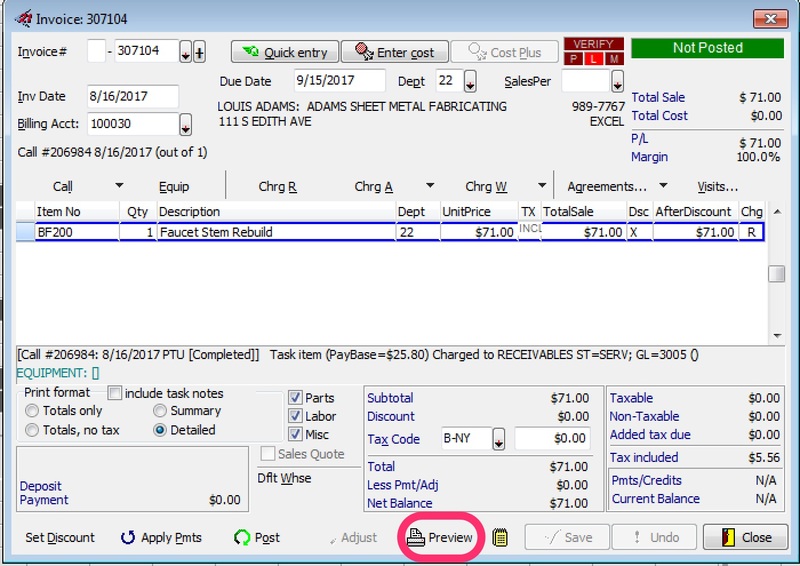 Select the Preview button on the lower part of the window and the invoice, with signatures, will appear. 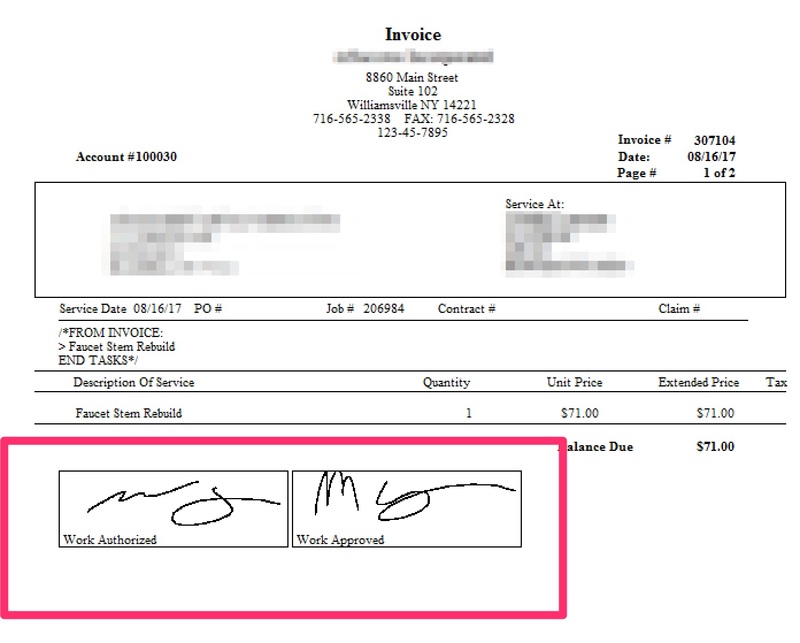 The signatures may appear on a second page depending on the size of the invoice, so you may have to change to the second page. If no signatures are available, either the technician did not capture them, or they cleared them out by navigating backwards through the job (and making changes).